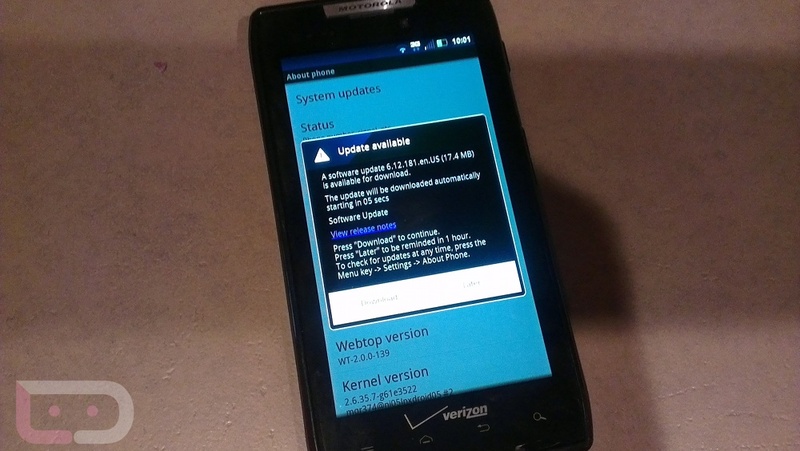 The bug fixing 6.12.181 update for the DROID RAZR and RAZR MAXX is rolling out to all devices now. To pull it, simply head into Settings>About phone>System updates. The update runs about 17.4MB in size and will only take a few moments to download assuming you have a decent connection. If you need to see the full changelog, check it out here. Now, to set our sights on Ice Cream Sandwich. Cheers Tyler, Jason, Ed, and Krs_Won!